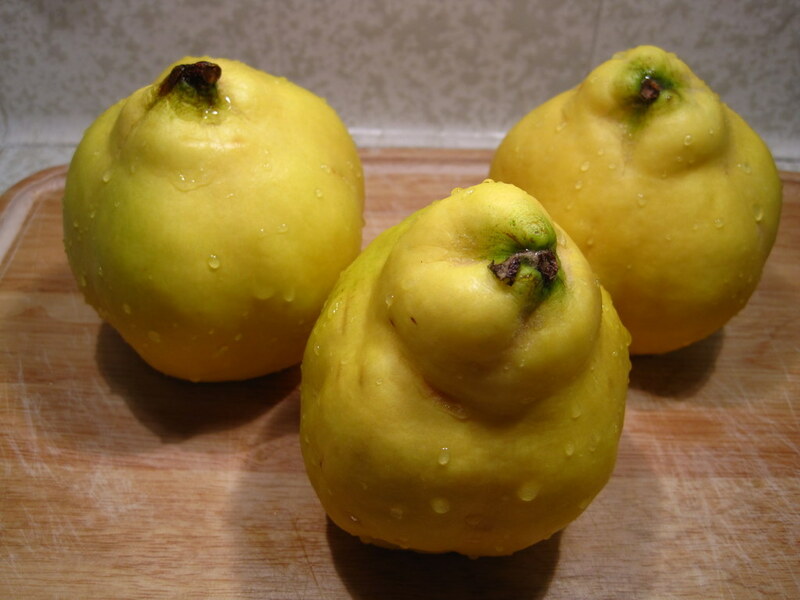 My love affair with quinces began not too long ago, and in the most improbable of ways. I confess that I didn’t entirely know what they were until I read about them in Orhan Pamuk‘s hauntingly beautiful novel The Museum of Innocence. I picked the novel up during a rainy spring, seeking some aesthetic escape while my beloved was continents away, and, reader, I could. not. put it down. It is one of the most deeply moving, excruciatingly gorgeous novels I have ever read. And I read novels for a living. One of the key ideas of the novel is the extraordinary capacity of quotidian objects to serve as living and breathing repositories of memory. In love with the overwhelming beauty of the everyday already (thank you, Nabokov), I was swooning every other page. Pamuk’s starting point for the novel, as he explains it, was found precisely in these objects, the remnants of his childhood, the remnants of his hero’s romance. I won’t give away too much of the plot, but I will say that one of these objects is a quince grinder. I had no idea what it was, but then I found this lovely piece in the NYT, in which Pamuk introduces some of the objects, which he is actually putting in a museum in Istanbul (!!!!!). This kind of cross-over between literature and life is completely mind-blowing to me, and I could not contain my glee at Pamuk’s deep understanding of the resonance of everyday objects, of their incredible significance. It is actually very hard to describe how much this whole undertaking moves me. It is even a little bit frightening, since words are my tools, my hammer and saw for daily labor. So, in a tiny act of homage, I decided to make a quince tart. I had to wait a long time for it to be quince season, and then I had to wait for the quinces to ripen. They can’t be eaten like apples, even though they look a bit like them: they have to be poached to make them soft enough to eat. The characters in Pamuk’s novel are making quince compote, and now that I’ve worked with the fruit, I can see that a quince grinder would be a very handy object to have around indeed. 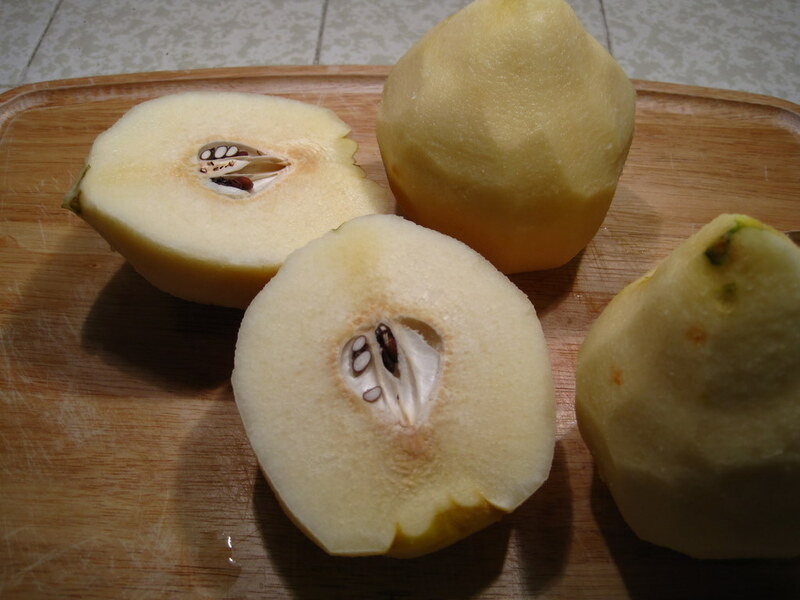 For the tart, first you peel the quinces, and then you quarter them and cut out their fleshy seeds. 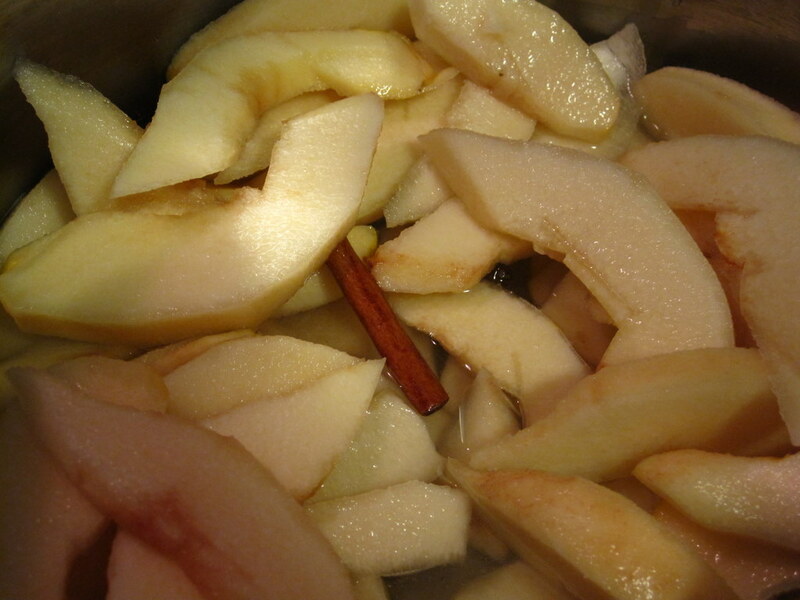 Then slice them thin and add them to a pot of sugar, water, cinnamon sticks, and allspice berries. You simmer this mixture for about an hour and a half, during which time your whole house will smell like heaven. I promise. 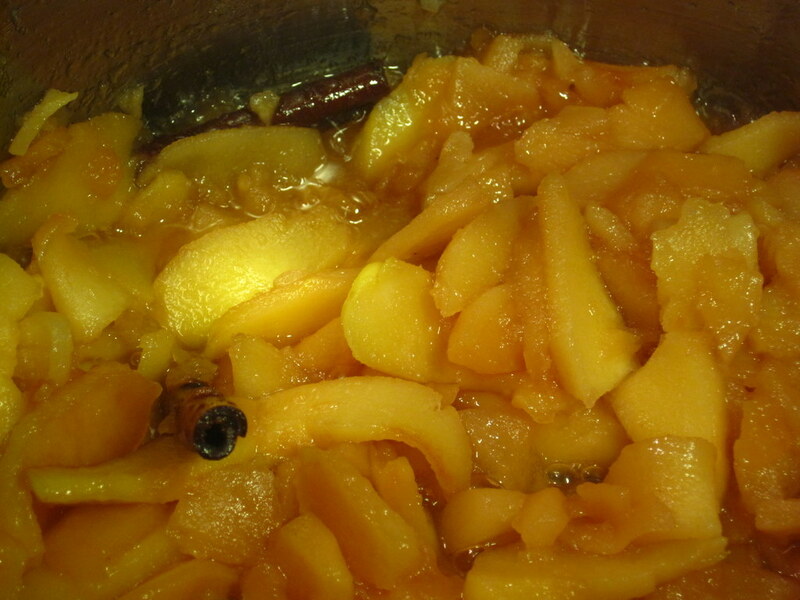 As the quinces cook, the liquid will reduce, and the fruit will soften. When they are ready, they will be slightly pink. So pretty. Then you just load them into your tart crust and bake for a bit, until it’s lightly bubbling. 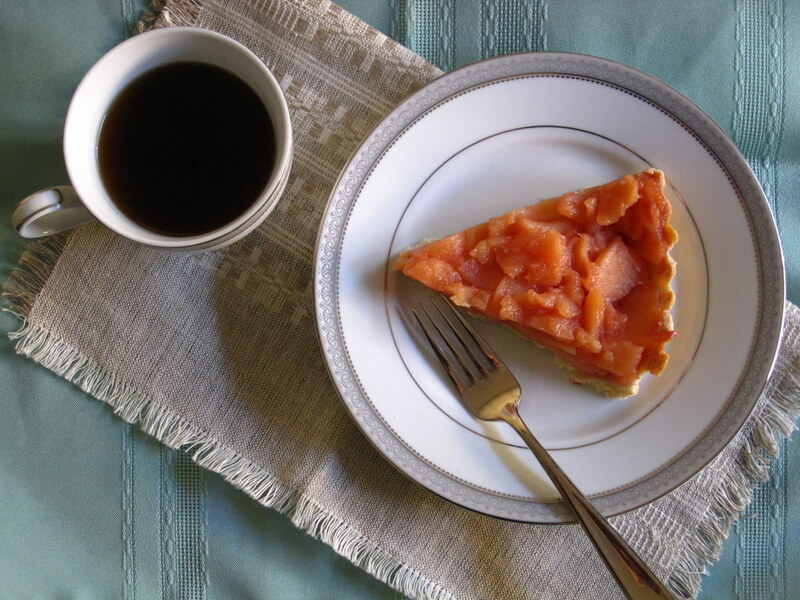 I used Dorie Greenspan’s tart crust recipe, and it was perfectly paired with the quince. Eric and I happily snacked away on this tart for a week, and it just got better and better, the perfect fall treat. 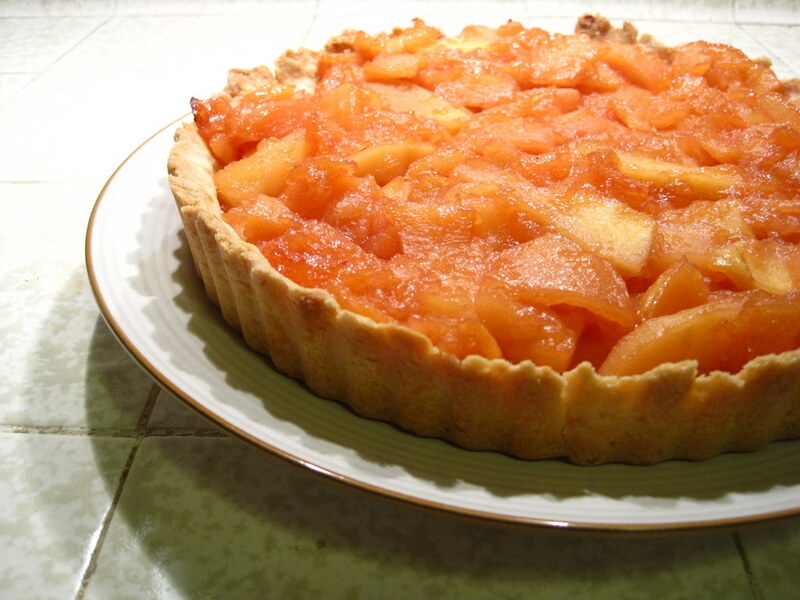 If Pamuk ever came over for dinner, I would make this tart for him. And then I would probably weep profusely in attempting to talk to him about his novel and how much it moved me. It is not so often that I have an experience that I feel is so completely beyond the realm of linguistic expression, and it is really rather mystifying trying to write about such an experience, but oh my goodness, would that we all had more of such moments in our lives, whether they be found in books or in others or in the world around us. It’s in these moments that magic, real magic, is made. (Dorie’s recipe is for a 9″ tart pan, but it worked just fine in my 10″ pan). -Put the flour, confectioners’ sugar and salt in the workbowl of a food processor and pulse a couple of times to combine. Scatter the pieces of butter over the dry ingredients and pulse until the butter is cut in coarsely – you’ll have pieces the size of oatmeal flakes and pea-size pieces and that’s just fine. Stir the egg, just to break it up, and add it a little at a time, pulsing after each addition. When the egg is in, process in long pulses – about 10 seconds each – until the dough, which will look granular soon after the egg is added, forms clumps and curds. Just before your reaches this clumpy stage, the sound of the machine working the dough will change – heads up. Turn the dough out onto a work surface. -Very lightly and sparingly – make that very, very lightly and sparingly – knead the dough just to incorporate any dry ingredients that might have escaped mixing. -Butter the tart pan and press the dough evenly along the bottom and up the sides of the pan. Don’t be stingy – you want a crust with a little heft because you want to be able to both taste and feel it. Also, don’t be too heavy-handed – you want to press the crust in so that the pieces cling to one another and knit together when baked, but you don’t want to press so hard that the crust loses its crumbly texture. Freeze the crust for at least 30 minutes, preferably longer, before baking. (I left mine in the freezer for a few hours, while I was working on the quinces). -Preheat the oven to 375 degrees F. Butter the shiny side of a piece of aluminum foil and fit the foil tightly against the crust. Bake the crust 25 minutes, then carefully remove the foil. If the crust has puffed, press it down gently with the back of a spoon. Bake for another 3 to 5 minutes, then transfer the crust to a cooling rack; keep it in its pan. -Peel quince and cut lengthwise into 8 wedges, coring it. Cut each wedge cross-wise into thin slices and in a 1 1/2-quart heavy saucepan combine with water, sugar, cinnamon stick and allspice berries. -Bring mixture to a boil, stirring until sugar is dissolved, and simmer 1 1/2 to 2 hours, or until quince is tender and has turned a deep pink (near end of cooking), and syrup is reduced and thickened. Discard cinnamon stick and allspice berries and stir in lemon juice. 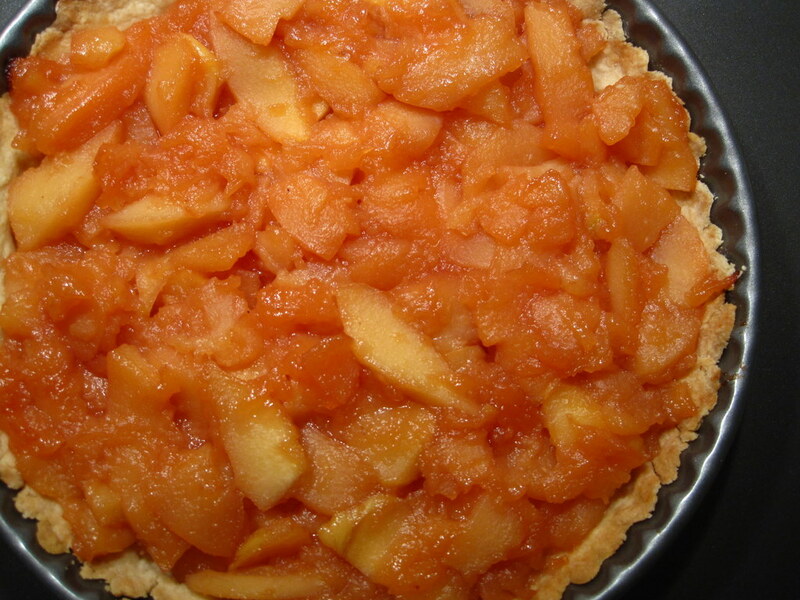 -Cool quince filling for 5 minutes, and then spread into pre-baked tart crust. Bake for about 15-20 minutes at 350 degrees. Let cool for 20-30 minutes before removing tart from tart pan. Slice and enjoy! « 365 Project: Year 2	» Happy Thanksgiving! Life is a museum. I will have to look at the Winchester Farmer’s Market for quinces. But not on Black Friday! Indeed! The season is a bit short, I think. When we went to the store this week, they didn’t have them anymore:( But Steve had some for Thanksgiving. I guess he is just magic.